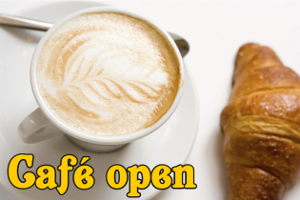 In our hostel there is a café which is open for visitors all year round, also in winter time. In summer you can come straight from the beach to have some refreshing beverages or ice cream. We have variety of soft drinks, juices, doughnuts and ice creams. In winter you can enjoy our famous doughnuts and hot coffee or tea. Ski tracks go right by our café! All allergys and food limitations must be informed when ordering or no later than one (1) week before reservation.